If we stand too long, if we sit too long, if we sleep wrong, if we lift something wrong, our back is going to hurt. here are all sorts of things we do that cause our back to hurt. While many of these things we can fix just by making simple changes in how we do things, strengthening our back muscles can go a long way in preventing back pain, strains, and injuries. 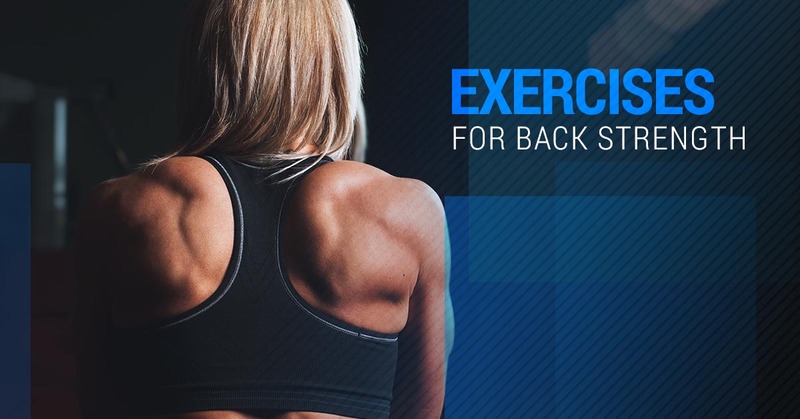 If you don’t already get to the gym regularly and you struggle with back pain, these quick exercises can prevent injury and even a trip to the chiropractor. If your back pain continues, schedule an appointment with Dr. Todd at IN Chiropractic & Wellness. Dr. Todd isn’t your typical chiropractor and will use innovative methods and techniques to put you back in alignment. Start by lying facedown on the ground with your arms by your side and your palms facing the ground. Pick up your shoulders and hands by bringing your shoulder blades together. Bring your arms out to your sides and then up above your head so that your thumbs meet. Then bring your arms back to your side and repeat this motion with three sets of five repetitions. Try to keep your arms straight and your elbows locked to keep your shoulders engaged. For this exercise, try to find a bench to lay on so your hips are at the very end of the bench and your legs are hanging off. Hold onto the edge of the bench for stability. Let your feet rest on the ground. To begin, pick up your legs, keep your toes pointed, and engage your abs, glutes, and hips. Raise your legs up in the air as far as you can without discomfort. Hold the position at the top for five seconds and then slowly drop your feet back to the ground. Do three sets of five reps with 30 to 60 seconds of rest in between sets. Again, lie facedown on the ground, keep your ankles close together with your toes pointed beneath you. Extend your arms out above your head with your palms facing the ground. Pull your legs and arms off of the ground by engaging the back, glutes, and shoulders. Try to raise your hands and feet to the same level and hold the position at the top. Do three reps with a 15-30 second hold and then rest for 30-60 seconds in between reps. The key to performing these exercises is maintaining the correct form so that your muscles are getting the most from the exercise and to prevent injury. When you schedule an appointment with a chiropractor at IN Chiropractic & Wellness, we might recommend personal training to ensure that you are strengthening your body correctly. With expert guidance, you can build muscle in your core, back, legs, shoulder muscles, and glutes. For your convenience, we have built relationships with local gyms and personal trainers who are passionate about keeping a strong body to prevent pain and injuries. If you have any questions about what IN Chiropractic & Wellness can do for you, feel free to give us a call.